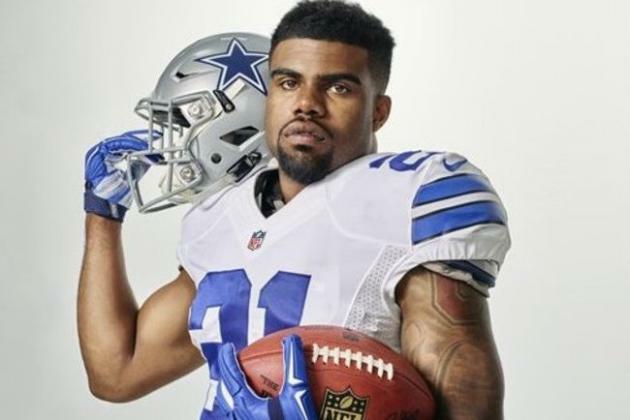 *Uh oh, bad, bad news for Ezekiel Elliott from the NFL. Today the Dallas Cowboys running back was by the league for 6 games WITHOUT pay. The suspension follows a league investigation into allegations of multiple instances of domestic violence. Specifically, as far as the NFL is concerned, Elliott was determined to have violated the league’s Personal Conduct Policy. He has three days to appeal the decision and punishment. Elliott’s former girlfriend accused him of domestic violence in 2016. Prosecutors in Columbus, Ohio declined to press charges. The NFL, which has taken disciplinary action in other instances when a player has not been charged, held a lengthy investigation into the matter. Cowboys owner Jerry Jones said in July there was no evidence of any domestic violence. If things don’t go the Elliott’s way, if he chooses to appeal, he will find himself on the bench for the first six games of the 2017 NFL regular season.